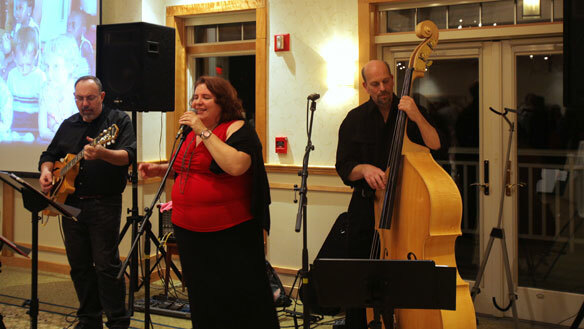 Robertchez: Bert Jackson: Guitar and Ukelele, Cheryl Kain: vocals and eggs, and myself on acoustic bass. We are a fun and funky jazz vocal group playing everything from jazz standards, bossa novas, to swing and edgy original tunes. Bass O’Matics: Peter O’Brien: guitar and ukelele, Greg Johnson: fiddle, banjo, dobro and trombone, and myself on electric and acoustic bass. 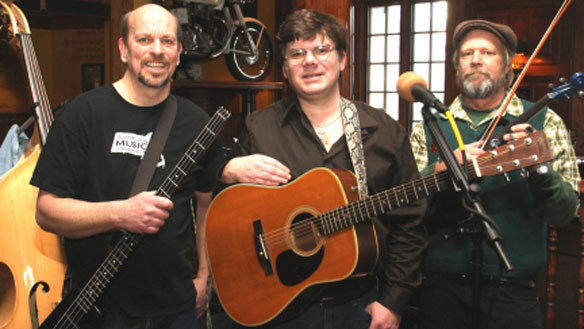 Named after the infamous SNL skit, we are a great blend folk, swing, blues, roots, Americana and traditional music. Our music reflects the spontanaity of the group. In almost three years together, we have never had a practice. 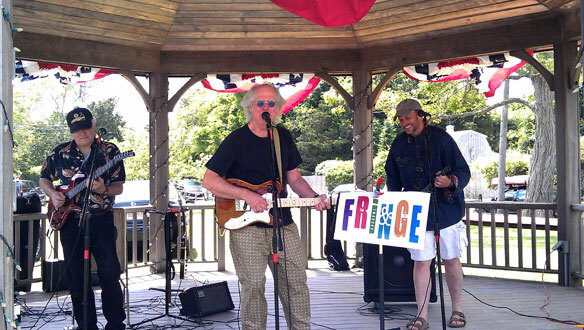 Tim Sweeney and the Fringe: Tim Sweeney: rhythm guitar and lead vocals, Randy Patterson: lead guitar, mandolin and lap steel, and myself on electric guitar. This group does primarily rock covers with an emphasis on strong vocals. Tim Sweeney Trio: Tim Sweeney: ukelele and vocals, Lucas Provost: drums, and myself on upright bass. Sometimes playing as a duo without drums, this group features jazz standards on ukelele with a few original tunes mixed in. The Disasters: Carl ‘Hurricane’ Hagstrom on guitar, Mike ‘Tsunami’ Kennedy on lead guitar, and myself, ‘Tornado’ Roe, on electric bass. 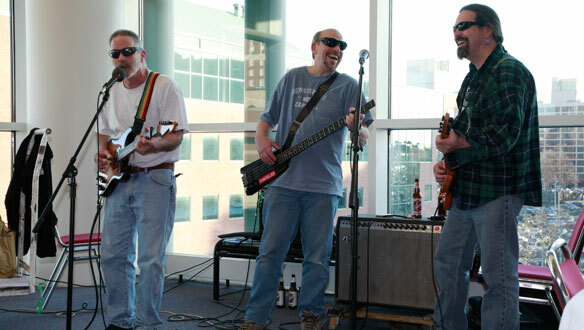 This band plays together once a year at the welcome party for JLC Live in Providence. We play R&B hard driving music along with original tunes in that genre. The room we play in is THE most acoustically challenging room on the planet: 300 feet long, 100 feet wide with high ceilings and glass walls!